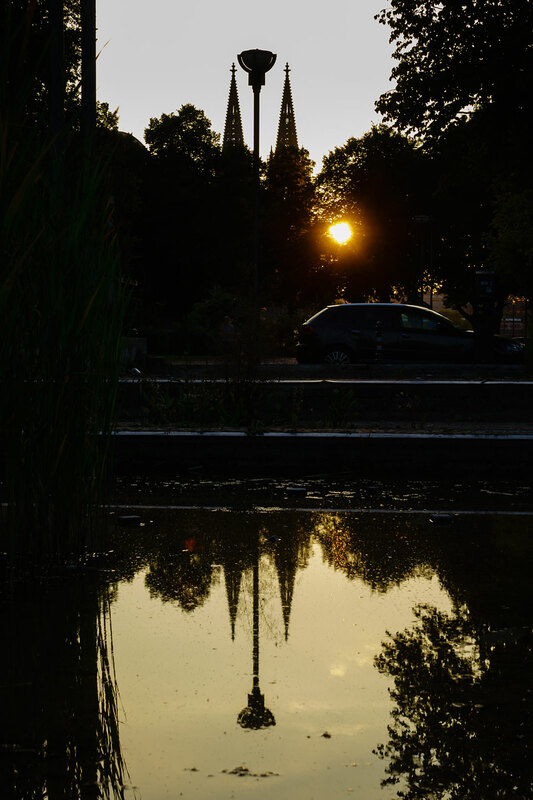 Well, here we are reporting from photokina 2014, the major trade fair in Cologne. I’m only here for the day and a brief stop in tomorrow morning en route to the airport, and my first appointment was with Sony. To be frank, it doesn’t matter that much as everything has already been publicised on many web pages. 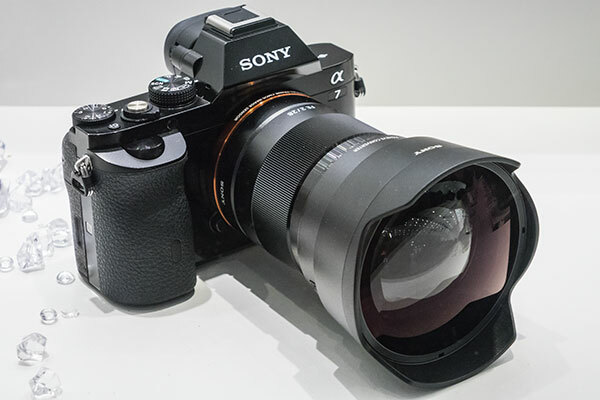 My only request, to be allowed to take some test frames on my A7R using any of the new FE lenses, was turned down because the lenses were ‘pre-production’. I was not pleased to be standing within earshot when, ten minutes later, the very same 16-35mm f/4 was being made available to another UK journalist not only to use but to take outside the hall into the Messehallen surroundings for ten minutes (chaperoned). Of course you need a Canon sign over queues. It is after all the brand of herd! I don’t need an outside scene to assess a 16-35mm – give me a room with vertical pillars (plenty) and some small very intense bare bright light sources (ditto) and I can pretty much do an optical test on such a lens in a couple of dozen frames. The good news is that Sony UK may be better placed to let photoclubalpha (and all the other media I write for) have loan lenses. In the last year, I’ve bought £10k worth and sold £5k worth of Sony and related third party gear to be able to keep up to speed with the rate of new products and their sheer cost. If equipment had cost this much relative to earnings when I set out in photography, I would never have become a photographer – it would not have been possible. It would have been making a choice – a deposit on a house, a secondhand car, or a camera and three lenses? And lenses are certainly being rolled out. 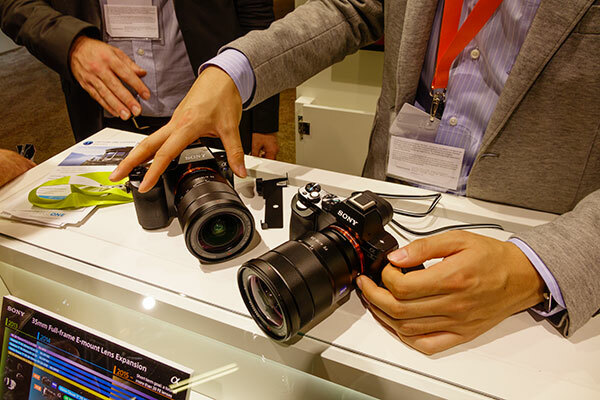 The new roadmap concentrates entirely on the E-mount systems (FE and E, full frame and APS-C). The Alpha 99 may still be there as a flagship for the A-mount but there’s really nothing here, no news, for A-mount system users. 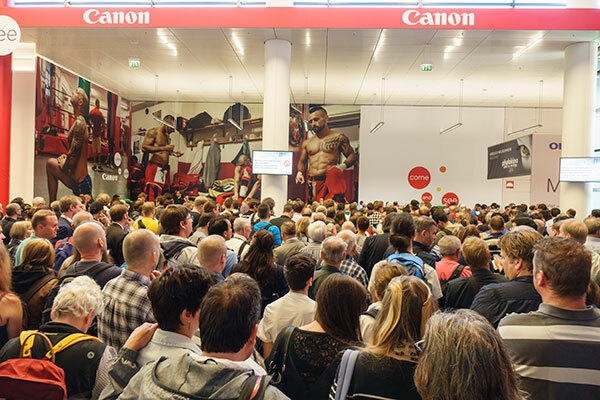 Hands-on reports from photokina often mean nothing more… hands-on! No pictures allowed with the glass. It looks like a lens, it works like a lens, but it’s really only half a lens. Unless, of course, it is two times a lens. 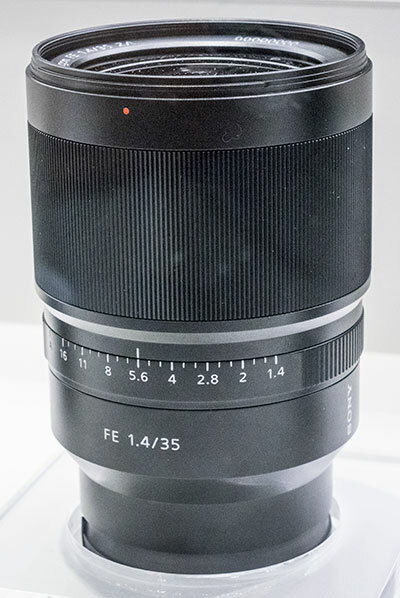 The ciné targeted 28-135mm f/4 power zoom for FE may have the ghost of a Minolta 28-135mm hiding inside its suit of armour. It’s huge. In a sealed but rather grubby fingermarked cabinet sat the new lenses – a Carl Zeiss Distagon T* FE 35mm f/1.4 ZA, a Sony FE 24-240mm f/3.5-6.3 OSS, and a Sony FE 90mm f/2.8 Macro G OSS. I wiped the drool marks off the glass with my secret weapon (a packet of tissues) and took some individual pictures. OK, the glass didn’t clean up all that well and there were many reflections to avoid. 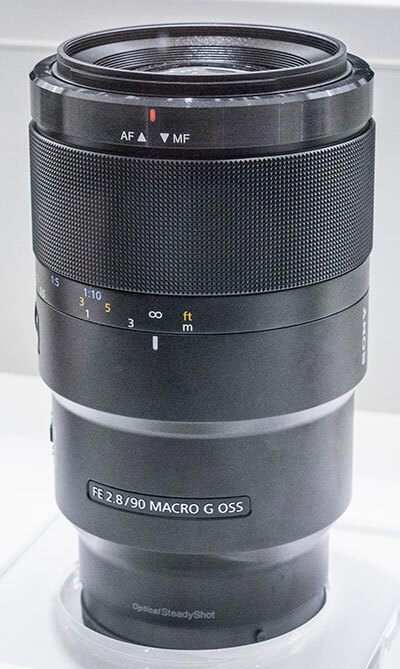 But here is what you need to see – a 90mm macro with an external OSS on-off switch so you do not have to menu dive to perform this function when tripod mounting, as well as a triple range focus limiter. But this len is a real monster. We have to assume it uses internal focusing with a design like this. And here is another surprise. 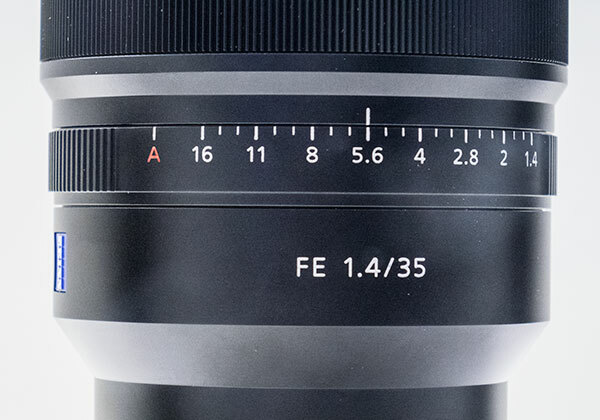 Like Fujinon XF lenses, the forthcoming CZ 35mm f/1.4 has an RX-style third f-stop clicked aperture ring, with an A setting at the extreme beyond f/16. 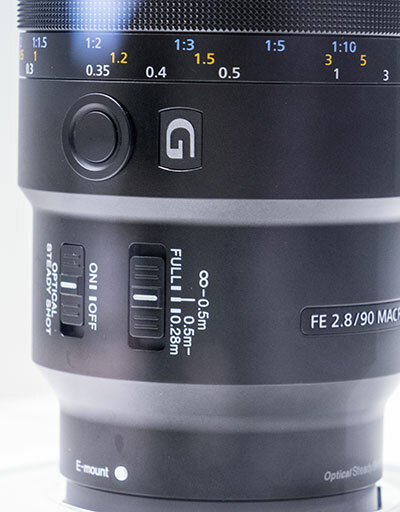 My guess is that there is also an RX-style click disengager round the back, making this a superior lens for ciné but almost certainly needing a firmware update for camera bodies as it is the first A or E mount (electronic aperture) lens to feature an on-lens aperture control. 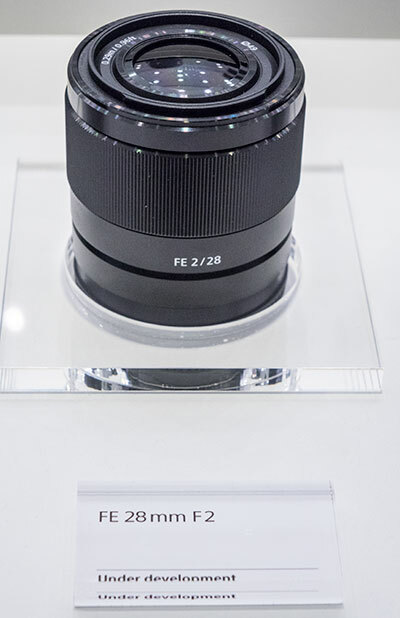 Then we have a neat 28mm f/2 AF for FE, joining the Carl Zeiss Loxia manual focus, electronic function 35mm and 50mm lenses shown elsewhere on the stand (one day I may feature these if we find them exciting enough). 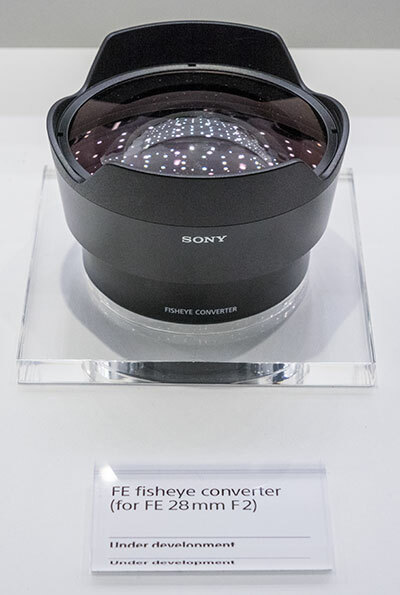 This lens has two optional adaptors – very much like the adaptors for the 16mm E series pancake, a 0.75X wide angle (converts it to a 21mm f/2) and a fisheye (converts it to a 16mm f/2). I’m off for a meeting with Sigma. Just got ten minutes to find them! I agree. I think the size of the 28mm is reasonable—it is a 2.0 lens and sadly Sony did not optimize the A7R sensor for oblique angles like the M9 & M240. 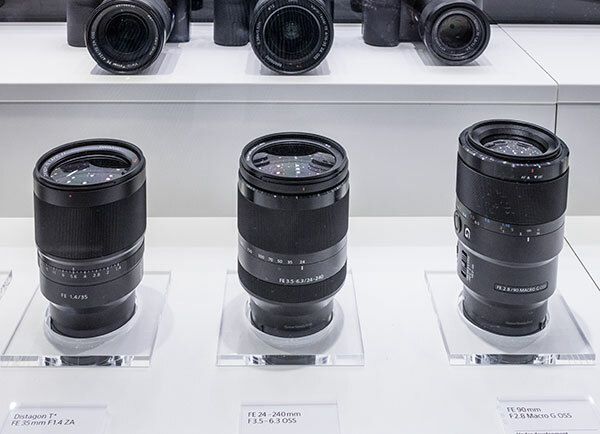 The size of the 35mm is embarrassing considering that Zeiss also released “their” 35mm f/1.4 Distagon design for M-mount. 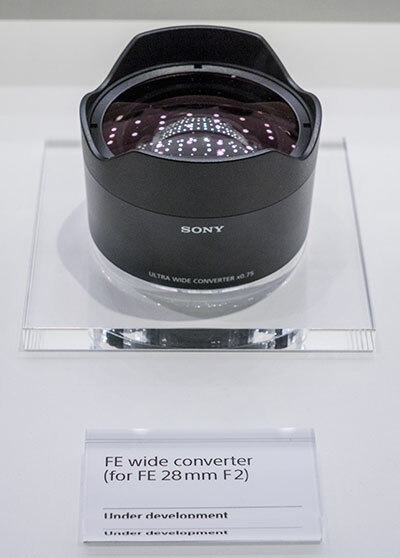 Even factoring in the adapter and AF the FE lens is huge. I expected the 90mm Macro to be substantial but it is even larger than I thought. 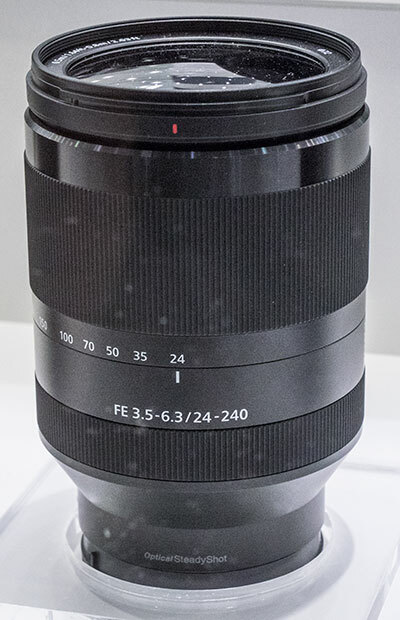 If Olympus could make an F/2.0 90mm Macro twenty years ago for half the size and weight I think that should be an embarrassment for the Sony designers. Yes, OSS adds bulk but this thing is a monster. The 35/1.4 & 90 Macro look like hasty conversion from a SLR design. Maybe we’ll see them soon in A-mount too ?